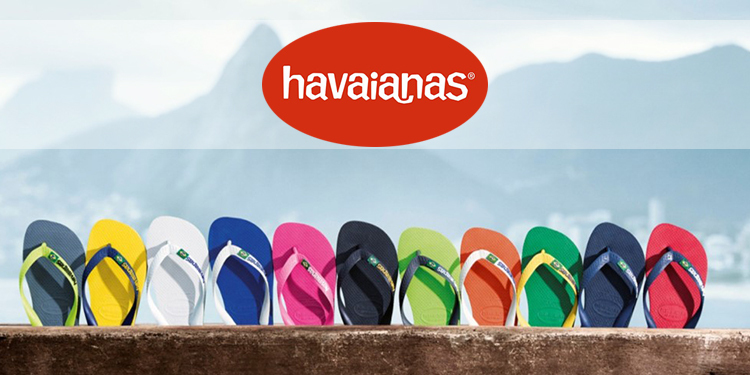 Mumbai: Havaianas launched in Brazil in 1962, continues its international expansion with its arrival in India. Alpargatas S.A. and Shoezone Lifestyle LLP have formed a joint venture partnership, to bring in the world´s most famous slipper. Under this JV the company plans to invest more than US$ 20 Million behind Havaianas in the next 5 years to conquer the Indian consumers. Havaianas plans on aggressively focusing on 10 top cities to speed up the distribution and achieve its full potential. The first locations chosen for the mono-brand stores include the most relevant and trend-oriented cities in India: Mumbai, Bangalore, Goa, Chennai, Pune and Cochin. This will be accompanied by intensive cross-platform marketing and PR campaigns. Havaianas will be available in the most relevant distribution channels for the local consumers: shoe specialist, department stores and e-commerce platforms. The project to bring Havaianas to India is being led by a JV between Alpargatas S.A. and Shoezone Lifestyle LLP (Alpargatas India Fashions Private Ltd) : combining the high product quality, diverse product portfolio and strong brand equity of Havaianas, with the solid retail, market know-how, consumer understanding and proven execution capabilities, of Shoezone Lifestyle LLP. Both partners are fully committed to ensuring the same success story of other international markets, where Havaianas introduces consumers to a whole new concept in slippers: not just functional slippers, but in fact the perfect combination of “comfort and style” to be adopted as a true “fashion accessory”. Speaking about the recently formed JV, Roberto Funari, CEO, Alpargatas S.A., said, “This is going to be a radical change in the way Indian consumers perceive and wear slippers today. We believe Havaianas will become a love brand – as it is in so many markets, and our product portfolio will offer consumers the possibility of being aligned with the latest fashion trends with extreme comfort”. The iconic brand, available in a variety of shapes, colors and prints are already the preferred slipper in many markets like Italy, UK, France, Australia and, of course, Brazil. Havaianas now brings the fun, energy, color and holiday spirit to the Indian consumers. With its warmer (slipper-friendly) climate and a very well-developed usage habit, Havaianas is bound to be a hit with consumers. A diverse portfolio of more than 120 styles and 350 colours will be available to “wow” consumers from all genders and ages, including international consumers favourites such as Havaianas St Tropez, Havaianas Slim Metal Logo, Havaianas You, Havaianas Urban and some of the many licensed styles such as Star Wars, Harry Potter, Mickey Mouse, Spider-Man and Mario designs. Havaianas, which releases a collection every year is currently selling the 2019 range and will soon release its 2020 collection.